A BIT OF HISTORY: "...Traditions were recognized, preserved -- and broken -- at NAS Brunswick, Maine on 7 June 1988. Jay R. Beasley, himself a living VP tradition, was recognized at a brief ceremony near the Station gate. 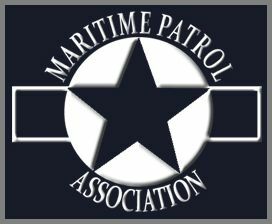 The tradition of designating a locally important person as patrol plane commander of the NAS Brunswick, Maine gate-guard Neptune was preserved. And the tradition of giving prominence to a man no one has ever seen was broken. NAS Brunswick's P2V has stood in the same spot for 20 years. It bears the markings of VP-21, which was disestablished shortly before the plane came to rest in its park-like clearing near the gate. LT Irvin H. Glick was designated its patrol plane commander. This was odd because everyone knew LT Glick's transfer orders were among those cut at the time of squadron disestablishment. But the stenciled name was no oversight. The lieutenant had been with VP-21 longer than any living man a decade and a half. 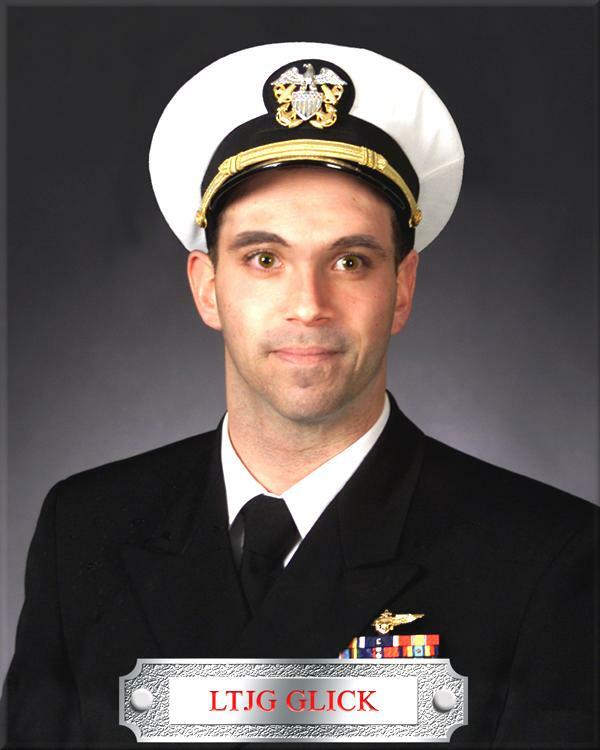 He had started as an ensign, like any other naval officer, rose rapidly to lieutenant, twice suffered the ignomy of being busted back to ensign, finally achieved permanent rank of lieutenant. This was somewhat disgraceful record; but then, he was a somewhat disgraceful man. He was invented, in the middle 1950's, to take the blame for anything that went wrong in the squadron. The Log editor has been assured that a genuine service record existed for LT Glick; but no one admits having cashed a paycheck for him. After a few years, somebody decided it would be nice to replace LT Glick's name as PPC with that of an incoming Wing 5 commander. But Wing commanders come and go; and sometimes the disreputable lieutenant's name replaced an outgoing commander. In recent years, a worse situation repeatedly arose. LT Glick would displace a Wing 5 commander as PPC before a change of command. The substitution would occur in the dark of night; and in the course of a year, the name below the side window alternated more than once between the invisible LT Glick and the Wing commander, making the elegant Neptune a source of amusement to base commuters. This is not exactly what the Navy had in mind when it placed the airplane on display. The veteran patrol plane deserved better. So it was finally decided to give the honored nameplate to a man who had earned the right to permanent recognition. Hence the ceremony on 7 June, honoring Jay R. Beasley. Several members entered the fray for versions of the "story". (We are not intentionally prolonging this story, but after the many years some versions get twisted a bit. Not having been a part of it, your editor can only report. It all sounds interesting!) The three responses below have good credentials! First, Bill Locke challenged Charlie Brune's account, and says "Lt.(j.g.)" Tom Betterton was the person who set off the raffle episode that "created" Glick". As testimony to his knowledge of the affair, Locke cites his dubious role in getting Glick's name on the "Five Aces" boards at all the bases VP-21 planes visited. He said more planning went into this effort than into some of the Squadron mining "quals". They very tactfully arranged to send small groups into a club early, so when the "bell" rang, it would not cost a fortune to set up the bar. This worked well except for the occasion in Roosevelt Roads when about 60 unsuspected private party guests "hit" them for a round of drinks. 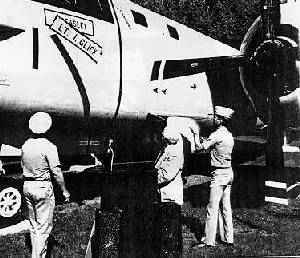 Locke was also responsible for maintaining "lrv's" service jacket, and that his middle initial was "H" (Hallmark - for "When you want to send the very best"), not "R" as is shown on the P2V at NAS Brunswick, Maine. Tom Betterton, himself, wrote to set the record straight. He confirmed Bill Locke's version, and added he recalled the name Irving Glick was a pseudonym or character used by Jerry Lewis in some of his comedy routines. Tom recalled that Irving maintained a somewhat low profile in the latter years up to his (Tom's) detachment in 1963, except for an occasional post card from the distant points of travel by VP-21. Years later, ADM Betterton was gratified that Glick had "matured into a prime example of the ingenuity of the VP community". Tony Marcantonio joined Bill Locke in accounting Betterton, in fact, "gave life" to Irv Click. He recounted that the Click lifestyle had been on the wane in 1964, when X.G. John Grill unknowingly resurrected Click when he used the name to sign into a London hotel enroute to NS Rota, Spain, to take command of VP-21. It was at NS Rota, Spain that a VF Squadron C.O. informed him of their fictitious Aviator. From then on the Squadron's fictitious aviators engaged in nonsensical dialogue and communications. The story just keeps going...and going...and going...! "Jay R. Beasley Memorial Page"